A-State Theatre Performance of "Animal Farm"
George Orwell’s novel “Animal Farm” has been adapted as a stage play. 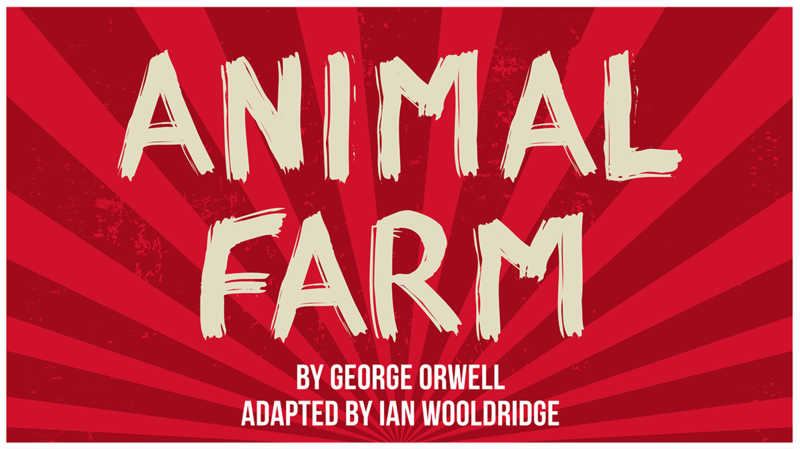 The Arkansas State University Theatre Department will present a production of “Animal Farm” beginning Friday, November Ninth, in the drama theatre of the Fowler Center on the A-State campus in Jonesboro. KASU’s Marty Scarbrough spoke with one of the actors in this production as well as the director, Jeff McLaughlin, assistant professor of theatre. McLaughlin explained the inspiration Orwell had for the original book. Jeff McLaughlin is an assistant professor of theatre at Arkansas State University, and he is the director of the A-State Theatre Department’s production of the play “Animal Farm.” We also heard from actor Josh Pryor who portrays the character Napoleon on stage. The production of “Animal Farm” opens Friday, November Ninth, at 7:30 in the drama theatre of the Fowler Center on the A-State campus in Jonesboro. Additional performances are Saturday, November Tenth; Tuesday, November Thirteenth; and Wednesday, November Fourteenth at 7:30 each evening. A matinee performance will be at 2:00 on Sunday, November Eleventh. Tickets are available through the A-State Central Box Office.